Mix all the ingredients in a bowl. Set it in the fridge for about 30 mins. 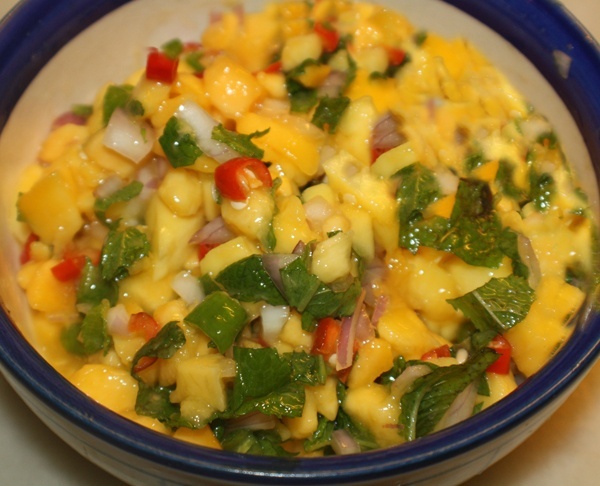 This entry was posted in All Recipes, Salads, Snacks & Appetizers and tagged Mango Salsa by Kamakshi. Bookmark the permalink.